That Father God will fill and bless Penny and myself with all the fruit of the Holy Spirit. Please ask God to heal Penny's heart from her bereavement, please pray that Penny will find it easy to come to me and talk,and cry with me more than anyone else of her grief. That Penny may recognize how very special I am in her life. Please pray that the day will come when soon both Penny and myself will tell and express and rejoice with one another. We love each very deeply and truly, and we will officially be a true and blessed loving couple and marry next year. Please pray that Saturday 19th of June will be a wonderful, very special and blessed evening with Penny, her family and me ,that her family will really like me a lot, and that it will be the start of something really big and beautiful for my relationship with Penny. 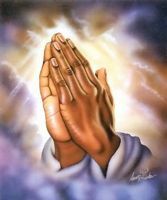 Please pray that my whole weekly income will have a significant improvement soon. Please pray that this whole week will be such a great week full of wonderful surprises and miracles,Please pray in the name of Jesus. Amen.